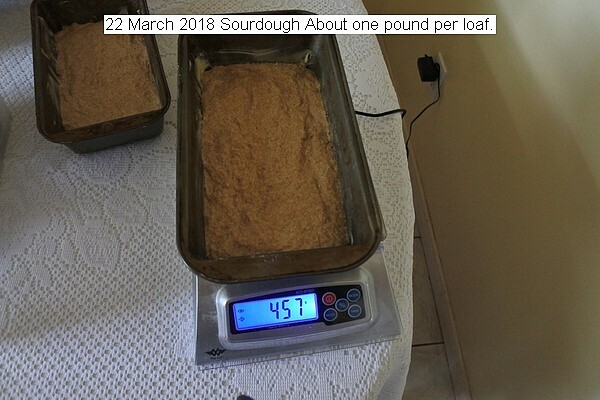 Two one pound loaves of sourdough bread are being processed. It is now rising.The starter is kept in the refrigerator and fed home ground whole wheat flour periodically. I am not completely happy with the amount of rising but am working on it. The finished product is certainly filling. 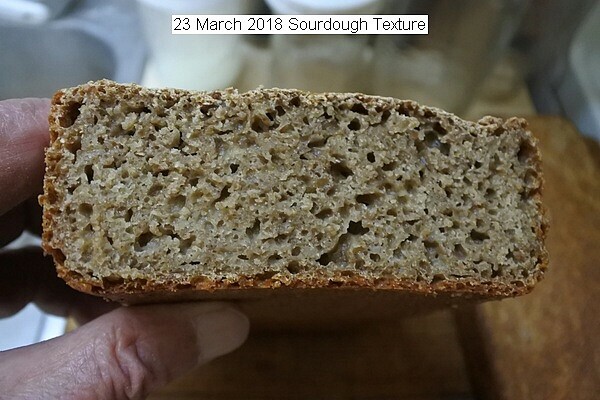 This entry was posted in Uncategorized and tagged 22 March 2018 Sourdough Bread, Sourdough Bread. Bookmark the permalink.